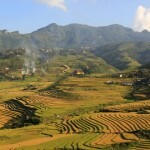 Nam Cang commune is the most remote region of Sapa district, situated 36 km from Sapa town. 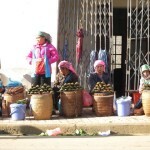 The village is inhabited by the Red Dao & Black Hmong minority people. The commune includes 267 households with round 1,578 persons. Before year 2000, nearly 80% of households were in hunger and poverty and over 70% of the population were illiterate, but due to a local development plan the and investments in education and farming the population is now living under much better conditions however still poor. As part of the development strategy the growth of cardamom was initially a pilot project in two households in the commune. But as the result with high economic outcome quickly change the numbers of farmers. Now, Nam Cang farmers grow around 600 hectares of cardamom deep in the forest with an important income in return. But still the biggest croup is rice, whish is somehow the foundation of all livelihood in the mountainous area. During your stay you are welcome to participate in daily traditional activities of Nam Cang people: rice planting or harvesting, fishing, archery, silver smith, bamboo paper making. Nowaday, the Topas Travel has built a community-based home stay for travellers. 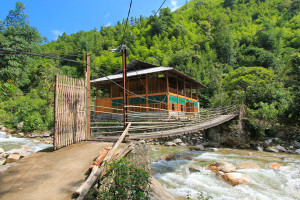 It is called Nam Cang Riverside Lodge. 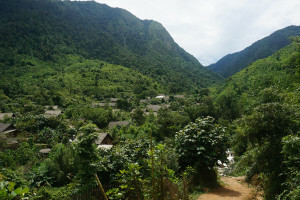 Located deep in the remote Sapa Valley with a beautiful river running in front of the lodge and green forest just behind you don’t find a better location for staying overnight in an old traditional minority village, in the heart of the Vietnamese mountains. This new lodge is built and owned by a Red Dao minority family and operated in partnership with Sapa Travel and opened in the end of 2013. 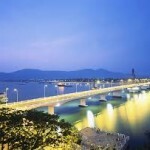 The area is brand new to visitors so prepare to whiteness the real and remote Vietnam when we go beyond the normal tourist routes, the surprised but friendly looks of local minority people, the children who swim in the river next to your lodge and to be welcomed to private homes as the local mountainous hospitality is unique. We hope you would like to share our interest in unique experiences and welcome you a remote stay but in comfortable rooms combined with good food and service. Ta Phin Village Ta Phin village of the H’Mong and Red Dao minority people, a remote village about 12 kilometers from Sapa which still retains traditional customs and lifestyles of ethnic minority groups.